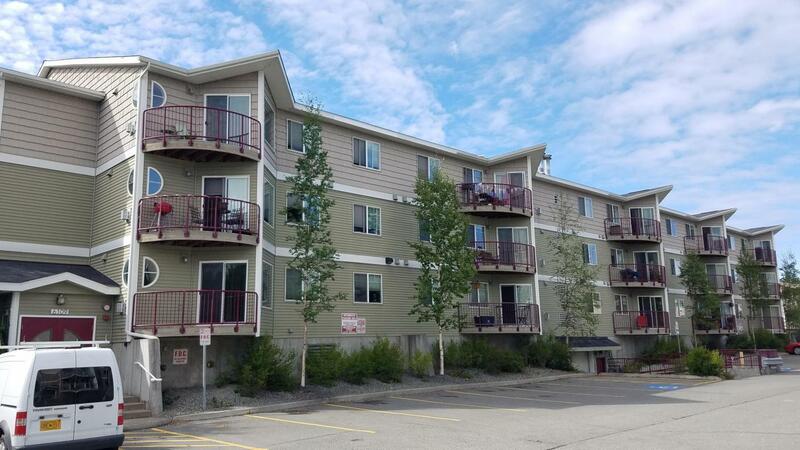 First floor apartment-style condo in secure building with underground parking and elevator. Built-in fire suppression sprinklers. 2 bedrooms AND 2 bathrooms! Close to both Russian Jack Park and Nunaka Valley Park. New carpet installed August 2018. Recent paint touch up and cleaning. Basic cable included in dues.Please turn the lights off before you lock up!